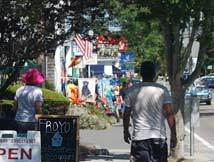 Is spending quality time with your family your idea of a great Cape Cod vacation? Do you have someone in the family who has an unfulfilled hunter-gatherer need? Do you absolutely love the ocean? Or seafood? 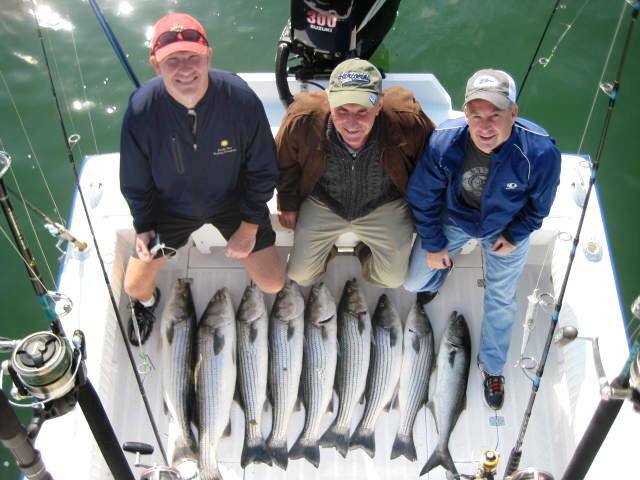 If you answered “yes” to any – or all – of the above, put a striped bass charter fishing excursion on the very top of your ‘things to do on Cape Cod’ list. 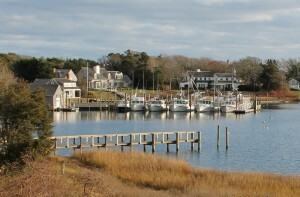 The charter fishing fleet at Wychmere Harbor. 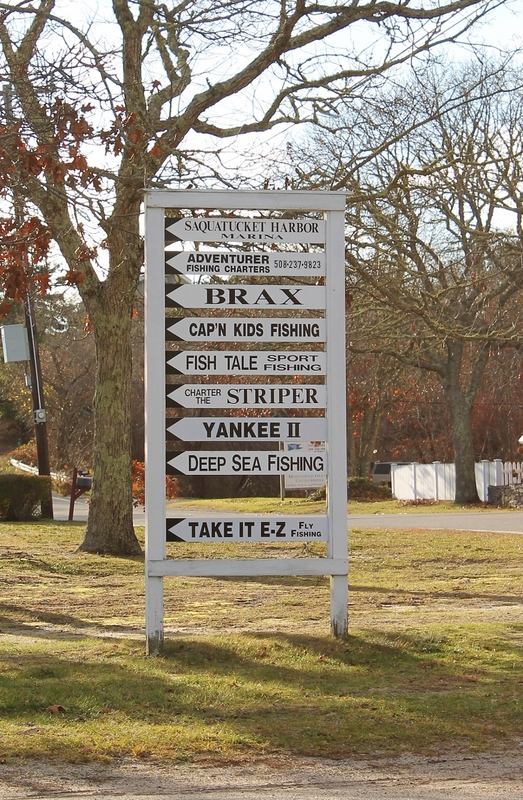 With fleets in many Cape harbors, charter fishing is fairly big business on Cape Cod. Boats range in size from just over 20 feet in length to more than 40 feet long. Some are equipped with bathrooms – or ‘heads’ in boating speak – and cabins, while others are not. Half and full day trips are typically offered for groups of four to six people. If you’re traveling with your family, securing a boat all for yourself offers unsurpassed family time. If you’ll be sailing solo, or it’s you and a buddy or child, charter fishing on Cape Cod is still an option; many of the area’s charter boats are happy to pair you with another small group. While some smaller boats, such as the Dragonfly can be trailered and arrange to meet you and your group at a nearby location, larger boats, such as the Magellan, remain berthed at the same spot throughout the fishing season. 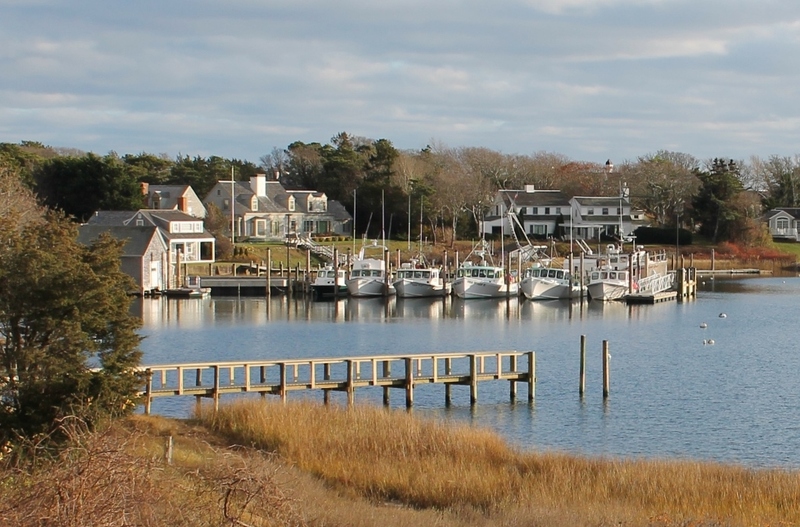 All three of Harwich Port’s harbors – Saquatucket, Allen and Wychmere – have charter fishing fleets and are within just a couple of miles of Seadar Inn by the Sea. The marquee at Saquatucket Harbor; looks promising, doesn’t it? Depending on the time of year, your captain may stay fairly close to port or may head further out to sea. As the season progresses, and the ocean waters warm, striped bass will migrate to cooler waters further from shore. 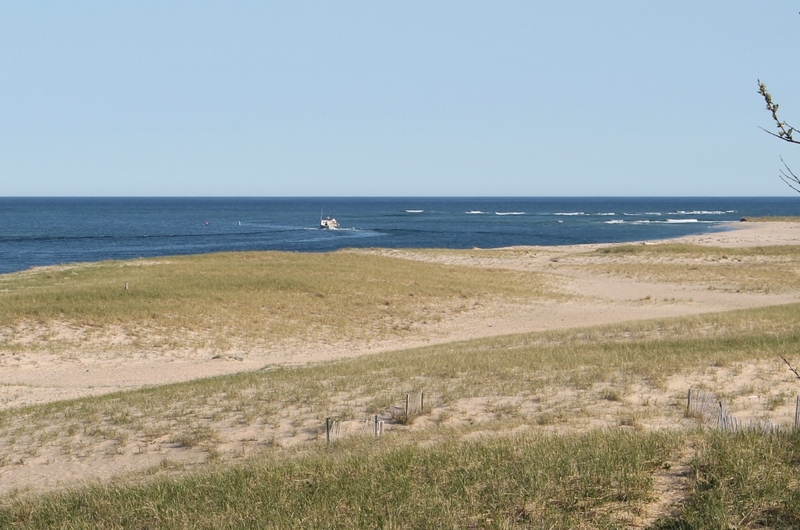 You’ll be on pristine boat gliding over the pristine waters off of Cape Cod, so spending a little extra time getting to where the fish are is part of the fun. Charter fishing on Cape Cod is, as we said, a business. The fleets are well regulated, and routinely inspected to ensure safety, and attaining a captain’s license is difficult and time consuming. You’re putting your family’s safety in the hands of a charter captain and they take that responsibility seriously. They also take their ability to find – and ultimately land – fish seriously. These boats are fully tricked out with both fish-finding gear and the gear to land them. Gear for each person and bait are included with the fee. The captains and their mates will help you every inch of the way as you reel in a monster striped bass, but are also happy to take step back and let you take total control. They want you to catch fish, lots and lots of fish, and have fun while doing it safely. A successful day aboard the “Dragonfly” (photo courtesy of charter). Any fish which are caught – each passenger may keep one striper which must be at least 20 inches long – are covered under the boat’s license; an individual fishing license is not required. Respect for the fish runs deeply among the crews. Fish which cannot be kept – whether because of being over quota or a passenger won’t be able to consume it – are safely and humanely released back into the sea. If a fish is to be kept, the crew will help you fillet it and pack it in ice for the trip home. 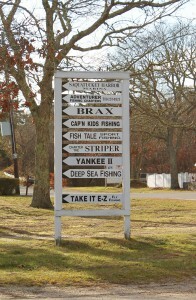 Returning home from your Cape Cod vacation with an actual fish tale; sounds pretty cool, doesn’t it?